Digital Subscriptions > DNA Magazine > DNA #226 | Entertainment issue > FREE GAY AND… RUSSIAN? Rainbow parades attacked by thugs, police in riot gear beating gay activists with batons, young gay Russians with bloodied faces and black eyes: these are the images of modern Russia. But Russia’s relationship to the gays is long and complicated and hasn’t always been so hostile. 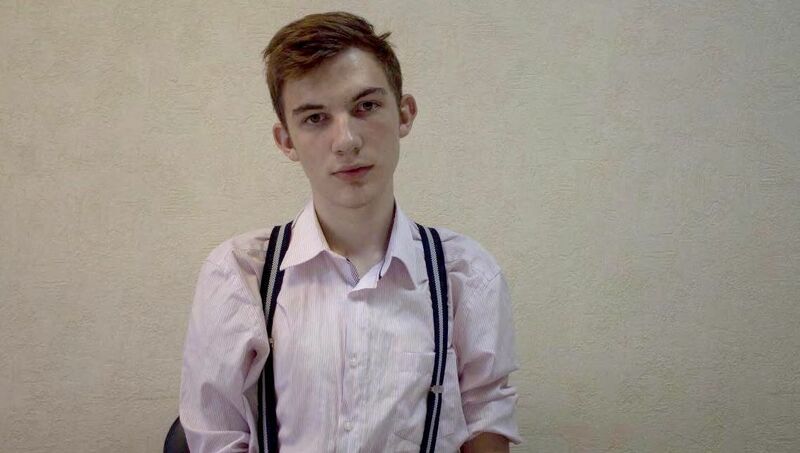 Maxim Neverov, 16, out and proud as an LGBTIQ activist in homophobic Russia. 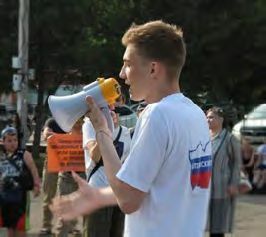 In August this year, Maxim Neverov became the youngest person ever charged under Russia’s so-called gay propaganda laws. 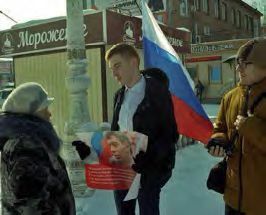 The 16-year-old first came to the attention of the authorities when he took part in a performance art piece called, Gays Or Putin in which activists in Biysk (a city near Russia’s southern border with Kazakhstan), tried to highlight Russia’s suppression of LGBTIQ people’s right to gather publicly. However, that’s not why young Neverov was prosecuted; it was because of photos he posted to Vkontakte, the Russian equivalent of Facebook. Neverov says he has developed a thick skin as a young LGBT person in Russia since first realising he was gay at the age of 11 or 12. “For many, it’s hell, but for me it’s a routine. Homophobic comments do not hurt me,” says the stoic teen. His lawyers are appealing his case, which has become emblematic of the attitude of the state towards sexual minorities in a country that has been ranked by the International Lesbian, Gay, Bisexual, Trans and Intersex Association as the second most homophobic country in Europe. However, history suggests that this hostility towards homosexuality is a relatively new phenomena in Russia. So, where did it come from, and why now?